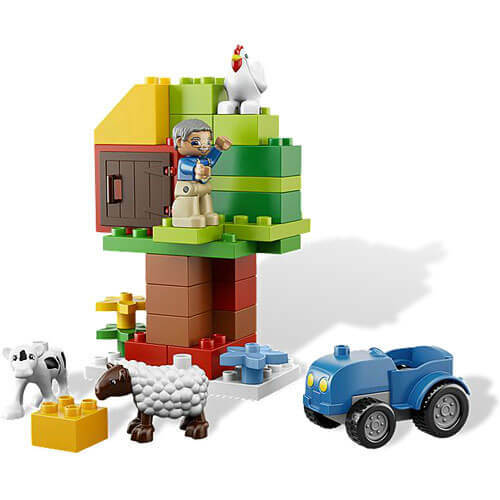 The LEGO Duplo 6141 is a LEGO farm set including a plethora of animals along with a unique farmer. The farm consists of a pig, chicken, baby cow and sheep to be taken care of by an actual farmer. The farmer himself comes with a set of typical farming tools such as a pitchfork. The bricks are larger, therefore safer (no choking hazard) and easier to assemble, making this a perfect set for younger audiences. The tractor, for example, is actually made of just two parts. The set itself, however, might require some help from the parents, since it’s quite challenging for kids that young to assemble. 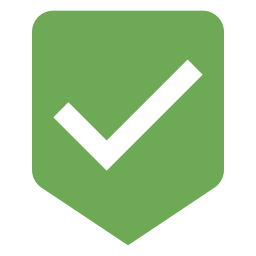 The difficulty, however, is well balanced – it’s hard enough to keep a kid busy but easy enough not to make them ditch it after a few trials. Farmhouse theme with 62 parts + a bunch of special blocks. A farmer with his own two-part tractor. Livestock consisting of a chicken, a sheep, a baby cow and a pig with their won pen. 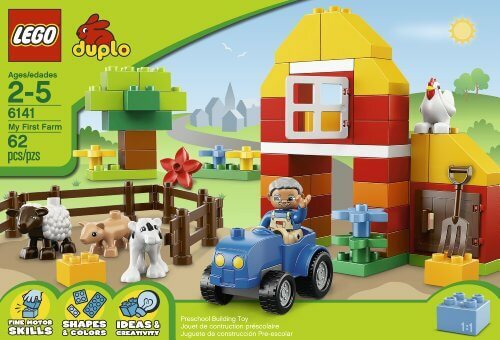 The Duplo collection is usually meant for children until the age of 5 and remains playable until so. However, this specific set might prove enjoyable for kids even beyond that range, and sometimes even for adults! After all, LEGO fans won’t mind the set being larger in brick size and have just as much fun as they’d have with the baseline brick set. The box comes with 62 assorted parts that are easy to assemble. 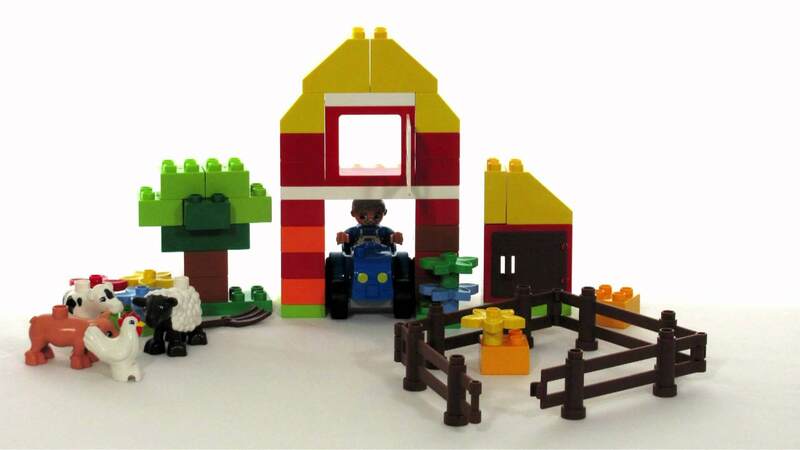 It also comes with an instruction booklet which helps with building the baseline set, but the bricks are pretty versatile and one can easily come up with ideas, even more, fun and creative than the recommended one. The animals are probably the most eye-catching elements of the set – they’re both bright and gorgeous. It’s really easy to imagine the enthusiasm the toddler would react to those. 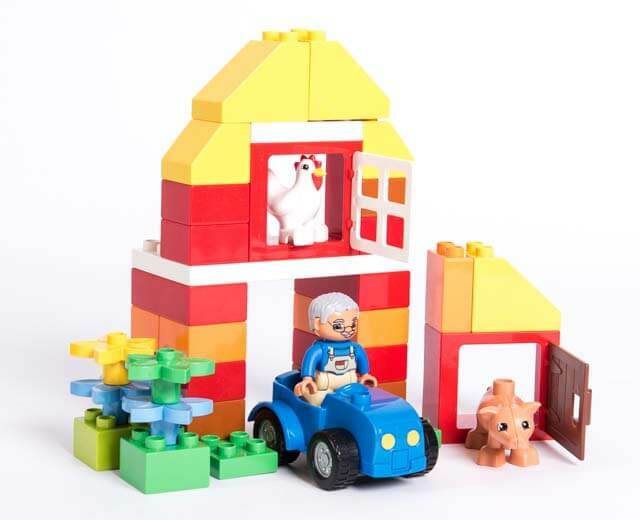 6141 set also delivers a huge roleplaying potential – imagine a scenario of the farmer waking up in the morning and driving his tractor to the pens where he keeps his beloved animals and takes care of them. Or maybe the animals could have made a mess in the pens and our farmer would have to clean that up while his livestock would laugh at him? Or maybe the animals would plot a rebellion, just like in Orwell’s „Animal Farm”? As you can see, the possibilities are vast and your child can discover them time and time again, ensuring a great roleplay value for money. Any kid will most probably consider that toy their favorite for many good reasons – neat details, eye-catching figures, the flexibility of the set and so forth. The set is not only a perfect gift for a toddler but also a must-have product for any LEGO enthusiast due to it being a theme park. The toy develops your kid’s imagination – given the roleplay possibilities attached it comes with, the more creative your kid is, the more fun it will have with the set. It is also really easy to assemble and modify. 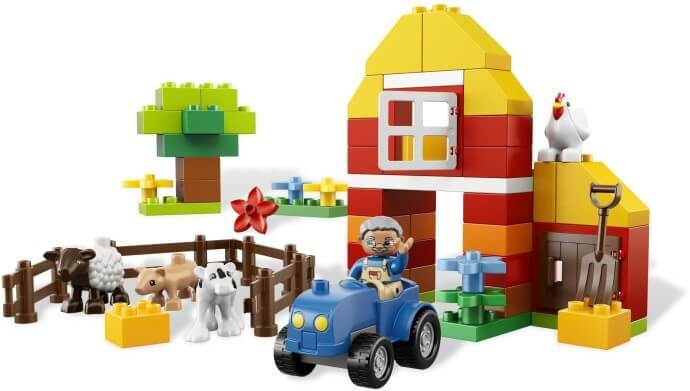 Overall the set fully deserves 5/5 rating for staying both simple and fun – just like the Duplo sets are supposed to.